Looking for the right steps to completely wipe hard disk in Windows 10, then this blog post is dedicated to you. Have you ever came across a situation when your computer’s HDD is full of malware and formatting one of the partition doesn’t help? What would you do? The only answer is to completely wipe the HardDisk, reset your machine and start from zero again. But, how to do it? How to completely Wipe a HardDisk if you are using a Windows machine? 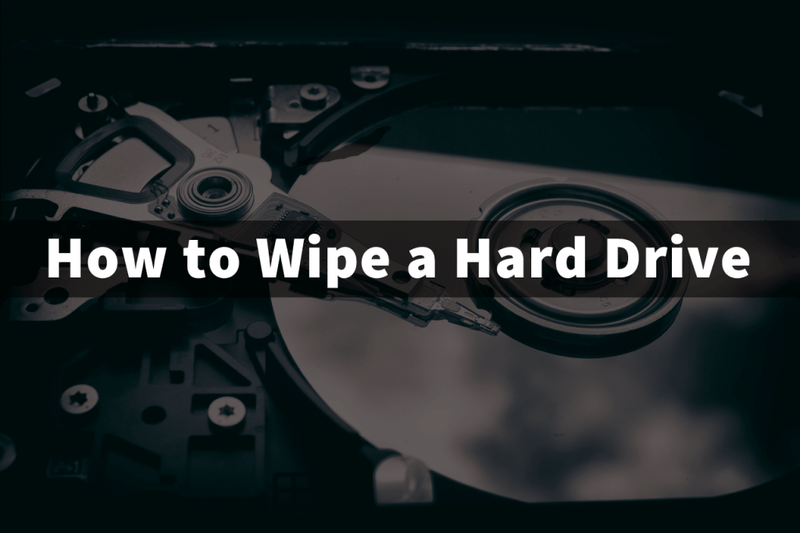 Now, there can be a number of reasons for wiping your HDD, and there can be many ways too. Maybe you want to hand over your computer to someone who needs it more than you, donating to charity or selling the hard disk. Whatever is the reason, today we will learn how to wipe a HardDisk in Windows 10 completely. If you have something important on a Windows machine, then you definitely might be knowing the pain of losing your data due to specific virus or malware. But, to remove these things you have to wipe your HDD completely. In the following blog post, we’re going to take help of Windows 10 native hard disk wipe tool to complete the computer hard disk. Before you start the steps keep in mind that every file of your HDD will be erased, so if there is anything you want then save a copy of it somewhere else. Let’s learn how to completely wipe your Hard Disk using Windows PowerShell(Admin). 1. Launch Elevated Windows Powershell. For that, press Windows + X keys on your keyboard. This will launch the WINX menu. 2. In the menu, select the Windows PowerShell(Admin) option. The PowerShell window will open up. In the place of ‘drivename,’ you need to type the name of the drive which is to be formatted, and the ‘NumberOfPasses‘ refers to the number of times you want each sector to be overwritten and cleaned. This will format the drive partition you want to clean. Since formatting a hard drive using Windows PowerShell or Command Prompt is a time-consuming process. You need to wait for the process to complete successfully. You can repeat the same process if required. Keep in mind, more the number of passes you enter, more the time it will take. Note: For this tutorial I have used my flash drive as a partition to demonstrate how the process wiping hard drive works. Now your partition is completely wiped and available for use. As simple as that. In case, you want to completely wipe hard drive in Windows 7 and Windows 8; then you’re in luck. Fortunately, you can follow the step discussed above. These steps also work fine in all the earlier version of Windows operating system. If you have a computer or laptop running Windows 7 and Windows 8, then you need to follow the same steps to wipe Hard Drive in Windows 7 and Windows 8. Find this blog post handy? If you need further assistance, then feel free to contact me via comment.